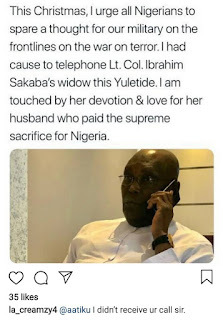 The widow of one of Nigeria's fallen hero, Lt. Col. Ibrahim Sakaba, has refuted claims made by PDP Presidential candidate, Atiku Abubakar, that he reached out to her via phone this yuletide. Sakaba was killed during the Boko Haram attack in Metele, Borno state in November. 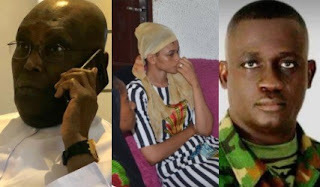 ''This Christmas, I urge all Nigerians to spare a thought for our military on the frontlines on the war on terror. I had cause to telephone Lt. Col. Ibrahim Sakaba’s widow this Yuletide. 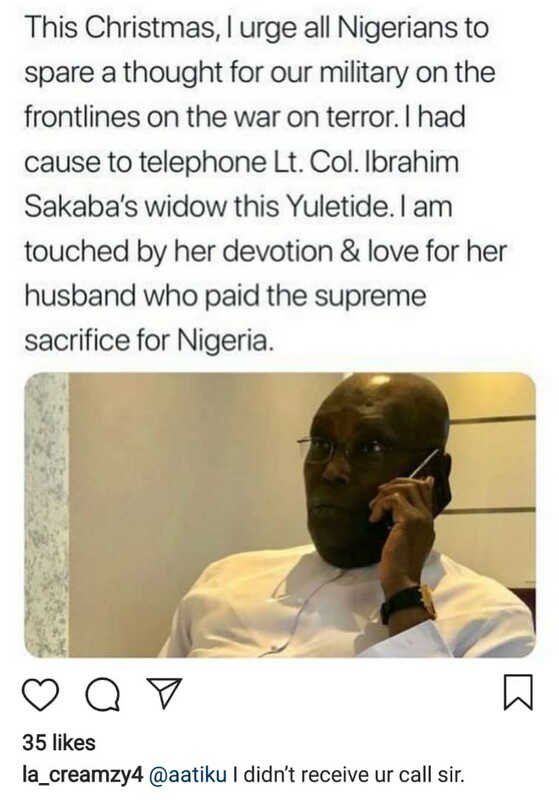 I am touched by her devotion & love for her husband who paid the supreme sacrifice for Nigeria.